Edin Dzeko scored plenty of goals in the knockout stages last year. This is one of the best-balanced ties of the round and the smart money is on a high-scoring game with the prolific Edin Dzeko being among the goals, says Jamie Pacheco. "But the value in what might be a high-scoring match lies with Hector Herrera. The Mexican international is one of those players who enjoys the big occasions and they’ll need a strong contribution from him here. He’s sort of the opposite of Adrian. In his last five he scored three, netting against Moreirense, Setubal and Tondela and missing out against Rom and Benfica. At a big-looking 11/2 he’s worth a punt." Porto's good form seems to have deserted them at just the wrong time. It's accounted for a loss in the final of the League Cup on penalties to Sporting Lisbon, a 2-1 defeat against Roma in the first leg of this tie and another 2-1 defeat against Benfica at the weekend, made all the worst for the fact that it was at home. That will have been a bitter pill to swallow, handing Benfica the advantage in the title race. Having looked on course for a possible two trophies, they may now end the season empty-handed. But that's to worry about another day. 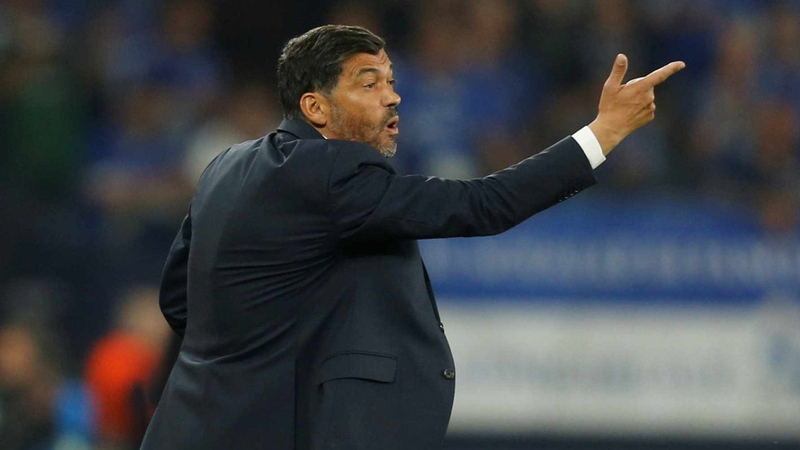 This tie is wide open and Sergio Conceicao's biggest challenge will be to get his troops to forget all about the Benfica game and just concentrate on this one. There's a lot of prize money at stake here for a club like Porto and getting to the quarters would make for a relatively successful season, irrespective of what happens on the domestic front. Vincent Aboubakar is still out with a long-term injury. Roma can relate to Porto's weekend woes. On the same day they were losing 3-0 to bitter rivals Lazio and saw former Man City man Aleksandar Kolarov being sent off late on. The result was highly disappointing but they shouldn't be too upset about the performance. Thy dominated possession, corners and shots on goal so the scoreline was harsh to say the least. Rather like Porto, this competition may be their best chance of saving their season. Fifth place in the league, four points off fourth placed Inter, isn't great. Kostas Manolas missed the Lazio game but may be fit to feature here. Good luck trying to decipher the match winner market. At first glance Porto's price of 11/10 looks about right but Opta remind us they've found Champions League knockout matches tough going, not winning any of their last six and not even scoring in four of their last five. Then again, Roma have had a nightmare on the road in the knockout stages themselves, losing each of their last seven meaning you'd have to go all the way back to 2008 for the last time they won away, which was actually while playing Real Madrid. With these contradictory stats and both sides also disappointing at the weekend, it's hard to make a strong case for any of the three outcomes. It's 11/4 on both the draw and the Roma win. Statistically speaking, there's a bit of value on backing Porto to qualify at [2.5] on the Exchange. Those odds suggest a 40% chance of the Portuguese champs progressing while historically, there's actually a 45.8% chance of teams going through after losing the first leg 2-1. Opta again. That of course doesn't take into account such factors as player injuries and recent form but as a raw stat, it suggests you're better off backing Sérgio Conceição's side to go through than the Italians at the current prices. Star striker Moussa Marega is 17/10 to score but his scoring form hasn't been anything to write home about. He hasn't scored in any of his last seven, one of the reasons why Porto had those two poor results at just the wrong time. Adrian Lopez is a fair bit bigger at 9/5 and though he hasn't scored many this season - he was admittedly injured for the first three months- he did save his two goals for the big matches, scoring Porto's consolation goal against both Roma and Benfica. But the value in what might be a high-scoring match (see below) lies with Hector Herrera. The Mexican international is one of those players who enjoys the big occasions and they'll need a strong contribution from him here. He's sort of the opposite of Adrian. In his last five he scored three, netting against Moreirense, Setubal and Tondela and missing out against Roma and Benfica. At a big-looking 11/2 he's worth a punt. There should be goals here. Last season, five of Roma's six knockout games had at least three goals and they're on a run of nine matches out of 10 in all competitions where 'overs' was a winner. It's also one of those matches where a goal completely changes everything and once it comes, the side conceding it will have to go on the offensive. At 7/10, over 2.5 goals is worth chancing. Edin Dzeko didn't get a mention above but he does now. He has 15 for the season, scored heavily in the knockout stages last year and as ever, is Roma's best chance of a goal. Sooner or later in this game, they're going to need one. 17/10 is a decent price for a player with his track record.